We have some excellent finance candidates available whom we have met and interviewed: They are registered exclusively with Mpeople and are looking for the next opportunity. We also have relationships with a range of employers across the region and our aim is to match the right candidate with the right employer every time. Social responsibility is very much part of the fabric of Mpeople. 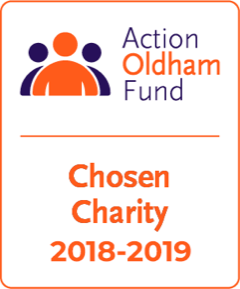 As part of our on-going commitment to local charities, we donate £20 for every permanent placement made to Action Oldham Fund. Sophie was appointed to work for Mpeople Accountancy and Finance in 2018. She has lived in Oldham for over 20 years and has an excellent understanding of the local and surrounding areas – she believes that having knowledge of the local market is important when talking to local candidates and businesses alike. Sophie has a strong belief that a successful placement involves finding the correct personality for a business, rather than just the skill sets found on a CV. Getting to know her clients and candidates has enabled her to successfully place fantastic finance individuals within exciting, thriving businesses across North Manchester. She believes building and maintaining relationships are key to a successful placement. Harriett joined Mpeople within the Accountancy and Finance team in 2018 and covers the South Manchester area. From her experience in previous roles, she has built a fantastic network of candidates and clients in this area. Although originally from Oldham, Harriett has lives in Manchester for over 6 years, and has worked in Manchester city centre and South Manchester for more than 10 years. Harriett loves building relationships with candidates and getting to know them on a deeper level, rather than just from the information on their CV - this enables better shortlisting for her clients in terms of culture fit and suitability for the role. If you have a vacancy to fill, are looking for your next job challenge, would like to arrange a meeting or just to find out more, please contact us on 0161 622 9890 or email a member of the team.